WCS protects the last wild places on Earth in 16 of the world's most important terrestrial and marine regions across the Americas, Africa, Asia, and Oceania. We do so because they are intact, biodiverse, most resilient to climate change, and home to large and iconic wildlife species across their geographic range. We are committed to reversing the decline of elephants, apes, great cats, whales and dolphins, and sharks and rays. By saving these iconic, wide-ranging species, we maintain ecosystem health and protect all other biodiversity that shelters under their conservation canopy. We also focus on critically endangered species that face imminent extinction without our actions, most notably tortoises and freshwater turtles. Over the past century, WCS has established a long-term conservation presence in the last wild places, built strong and trusting partnerships, and acquired a depth of knowledge that ensures effective conservation action. We manage the world's most extensive ape, elephant, and great cat field conservation programs, protecting core populations within their strongholds and the corridors that connect them. A core strategy is to discover the most important places for conservation, and inspire people and governments to help us take action to protect them. Since the early 1900s, WCS has supported governments and communities in creating or expanding 245 parks and protected areas around the world, making a significant contribution to the United Nations Convention on Biological Diversity target to designate 17 percent of the land and 10 percent of the oceans as protected areas by 2020. Our ongoing work with governments and communities ensure they are able to manage their protected areas effectively and conserve the wildlife and wild places that matter to all of us. The Spatial Monitoring and Reporting Tool (SMART) is designed to improve anti-poaching efforts and overall law enforcement effectiveness in key conservation areas. SMART is already being implemented in more than 120 conservation areas in 27 countries around the world, and it is fast becoming a global standard through its ability to improve law enforcement efforts, improve the morale of enforcement teams, and reduce poaching levels. On Earth Day 2015, the government of Madagascar announced the creation of 27 marine protected areas, including three community reserves. Our work with coastal communities demonstrated to the government that locally managed marine areas work and are good for both nature and people. 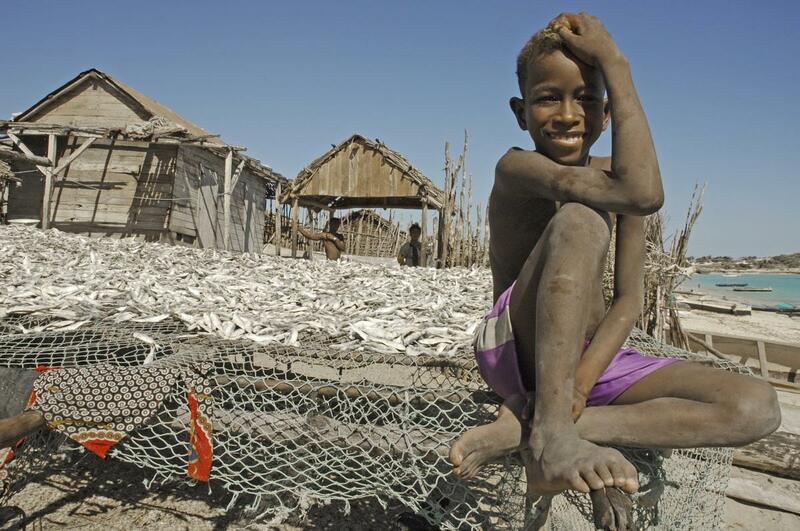 This innovative, rights-based model is now a national conservation policy of Madagascar. We know that many protected areas are too small to meet the needs of a large number of wide ranging species, including elephants, great cats, migratory ungulates, birds, whales, and many species of sharks. At WCS, we have long looked beyond the horizon of parks into the surrounding areas. We work with communities to help them manage and protect the natural resources upon which they depend, and with timber, mining, and agricultural companies and commercial fishers to ensure that their practices allow wildlife to continue to thrive across these larger land and seascapes. By tracking the movements of elephants in Northern Congo, we know that even the 1,540 square miles (or 4,000 square kilometers, five times the size of New York City) of the Nouabale-Ndoki National Park is not large enough to meet their needs. Most of the radio-collared elephants spent at least half their time outside the park in adjacent logging concessions. To protect them, plus the chimpanzees, gorillas, and leopards that move outside the park, WCS partnered with timber companies to help them secure Forest Stewardship Council certification and access profitable European markets. In turn, the companies agreed to adopt wildlife-friendly business practices, including prohibiting commercial hunters from transporting wildlife on their vehicles, closing roads after selective logging to prevent access to hunters in vehicles, and setting aside forest within their concessions for total protection of wildlife and for the exclusive use of traditional hunters. WCS targets large, iconic, wide-ranging wildlife for their own intrinsic value, because they are vital to ecosystem health, and because by saving them, we protect all other biodiversity that shelters under their conservation canopy. We have a special focus on the conservation of six global priority animal species groups across their range: elephants, apes, big cats, sharks and rays, cetaceans, and freshwater turtles and tortoises. As an example, WCS runs the world's largest great ape, elephant, and tiger field conservation programs, investing in saving key populations within their strongholds and the corridors that connect them. Even in the last wild places where we work, some species have suffered from over-exploitation, neglect or poor management and their populations are now unnaturally small or locally extinct. Recovery is possible, but these species need additional help from WCS and our partners to reintroduce them to the wild where necessary, and to protect them from illegal hunting, loss of habitat, disease outbreaks, and from impacts related to climate change. In 1913, WCS helped save bison from extinction in North America, reintroducing them from the Bronx Zoo to the Western Plains of the U.S., where they had almost been eradicated by commercial hunters. 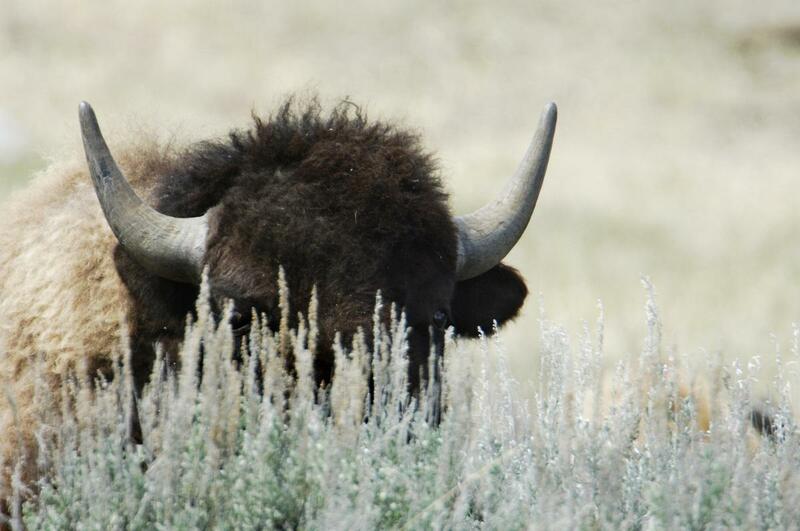 Today, WCS works with the Blackfoot Confederacy and other Tribal and First Nations peoples in the U.S. and Canada to re-wild their lands by bringing back bison. In this way, WCS has helped to save bison, restore the prairies, and retain the cultural heritage of native peoples in North America.